The ready-to-use molecular grade dNTP Sets consist of four separate 100 mM solutions of dATP, dCTP, dGTP and dTTP respectively. Highly quality dNTPs are a vital requirement for successful PCR, as the presence of contaminating impurities will result in a decrease in amplification sensitivity and product yield. Bioline ultra-pure dNTPs undergo highly stringent purification steps to give a greater than 99% purity and are tested for the absence of DNase, RNase, Protease, Nickase activity. 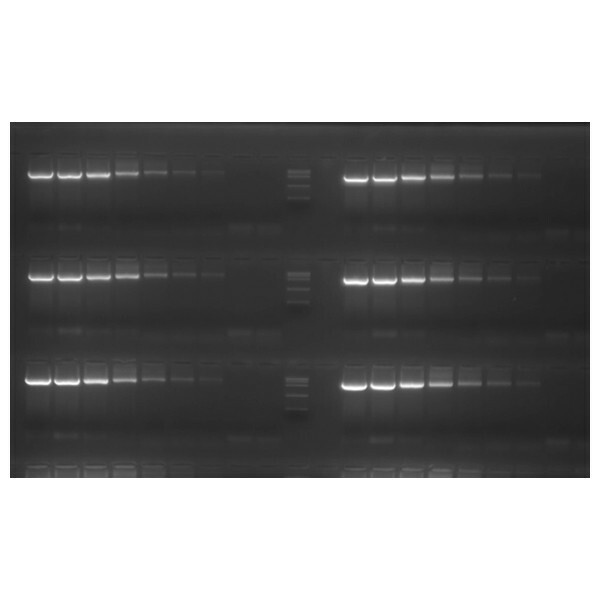 They are then quality controlled in a variety of applications, ensuring that they are highly suitable for the most sensitive of PCR techniques. All Bioline dNTPs are supplied as lithium salts, as lithium salts have greater resistance to repeated freezing and thawing cycles than sodium salts and remain sterile due to the bacteriostatic activity of lithium towards various microorganisms, giving greater reliability and an extended shelf life. High quality deoxyribonucleic acids (dNTPs) in ready-to-use concentrations. Ultra-pure dNTPs can be stored for 24 months at -20°C. Avoid multiple freeze/thaw cycles. For long-term storage, aliquoting is recommended.